The city of Ludhiana has been set up and established near banks of River Sutlej. It is the biggest city in Punjab state. The city of Ludhiana is divided into two parts one is called New city while the other is known as the Old City. Ludhiana was established in the year of 1480 and the name Ludhiana has been derived from Lodhi dynasty. Ludhiana city holds quite a number of places to be visited by the tourists on their trip to Ludhiana. Some famous tourist spots located here include Guru Nanak Bhawan, Gurudwara Manji Sahib, Phillaur Fort, Guru Nanak Stadium, Rakh Bagh Park, Maharaja Ranjit Singh War Museum which has artifacts dedicated to the Kargil war and history of India, etc. Lodhi Fort which presently stands in ruins is also worth a visit. It was constructed by Sikander Lodhi nearly 500 years ago. The city is full of parks and lush green gardens that are perfect for enjoying walks in morning or evening. For kids a few amusement parks are present or you can even visit the local zoo. 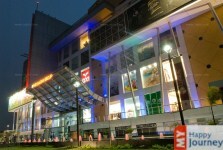 If you want to shop, you can find all international and national brands under one roof in any of the malls present in Ludhiana. You can even indulge in the north Indian food served here at every small or big restaurant or eating joint. Lassi is a popular drink served here. You can reach Ludhiana via trains, buses, taxi or car. The nearest airport is at Amritsar.